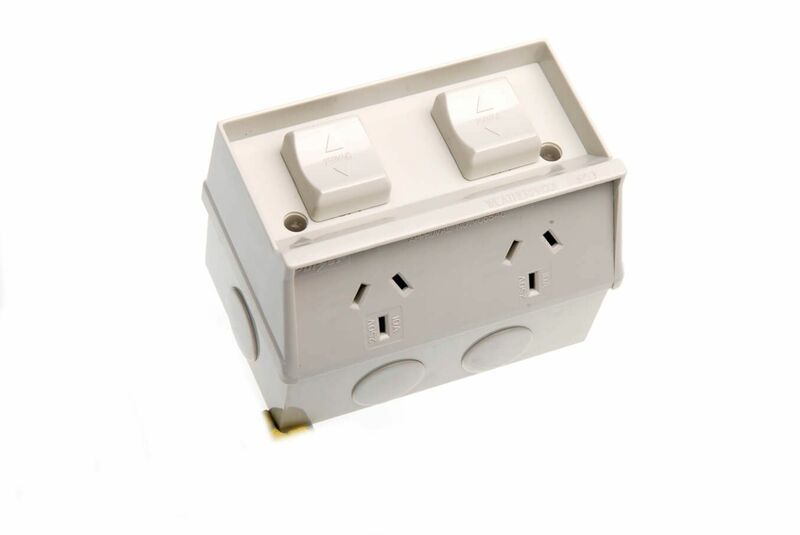 IP54 rated 10A weatherproof double socket outlet. 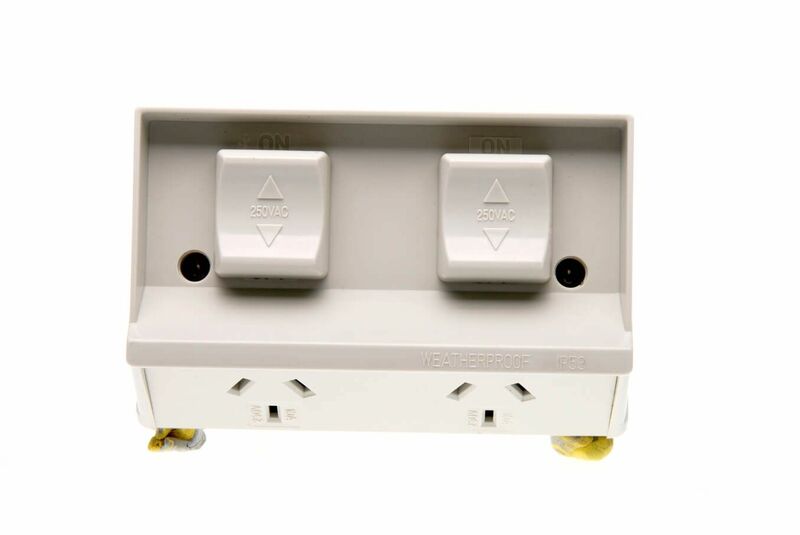 IP53 rated 10A weatherproof double socket outlet. 20mm and 25mm conduit entry locations.